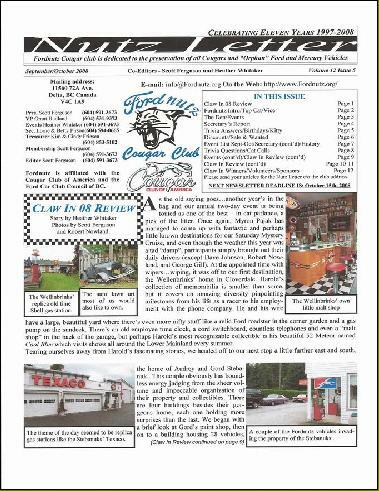 The Nutz Letter, the official newsletter of the Fordnutz Cougar Club, is available to club members and officers of other clubs by mail or in an electronic form, and distributed via e-mail in Adobe Reader. If you are an officer/director of a club and would like to receive the Nutz Letter by e-mail, contact our newsletter Editor. Acrobat Reader is a free down loadable program available by visiting the Adobe web site. Below are two samples of the Fordnutz Nutz Letter. 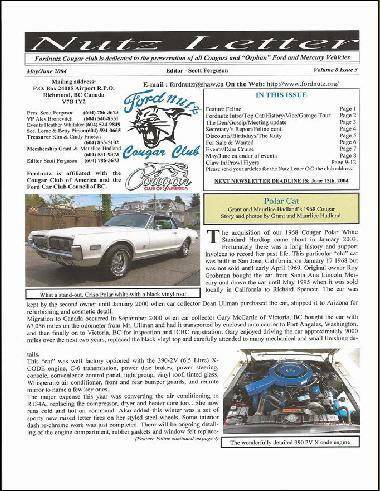 The entire archive of issues from 1997 to present are available to Fordnutz members through the "Members Only" area of the website. Please be patient as it takes a few moments to load each issue.